- CNC aluminum air filter bolts. 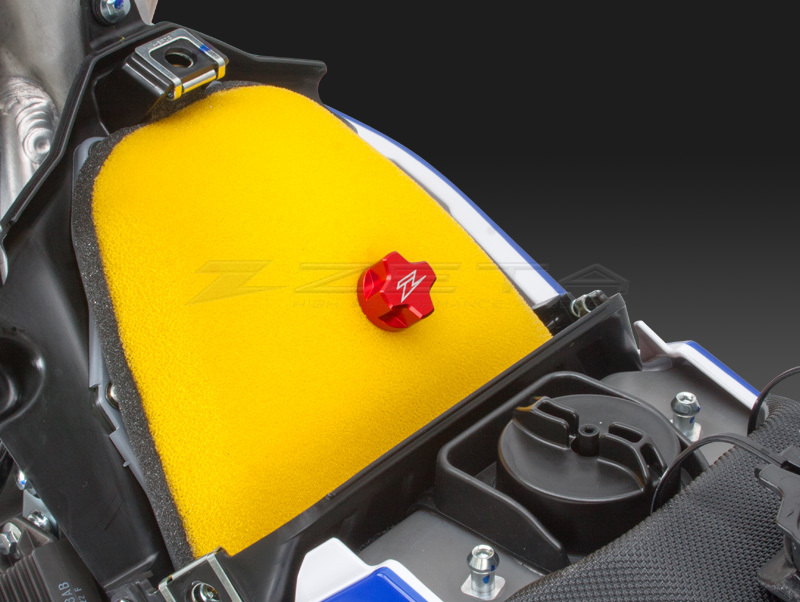 - Larger rounded head, with finger grooves, makes it easy to spin the filter bolt. 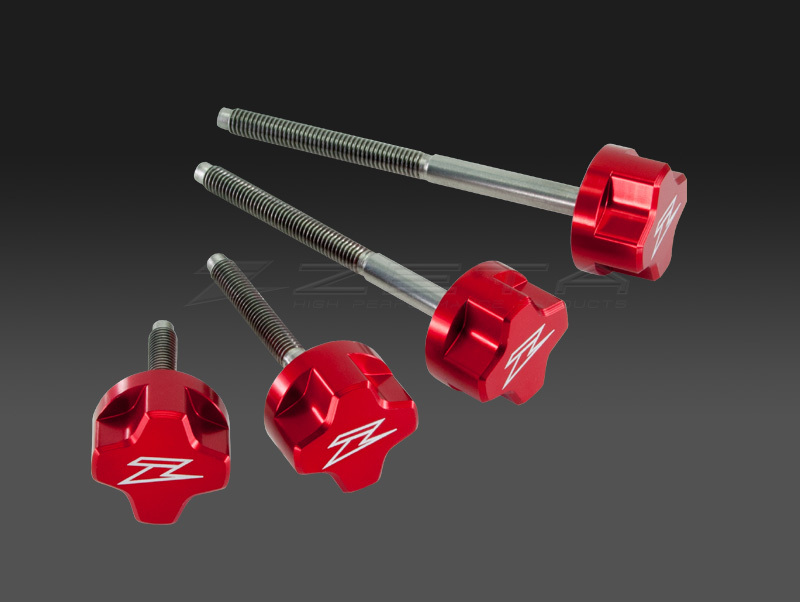 - Red anodized finish with laser printed logo on filter bolt head. - Bolt shaft is made of durable stainless steel.